Rick Lowe is an artist who resides in Houston, Texas. His formal training is in the visual arts. Over the past twenty years he has worked both inside and outside of art world institutions by participating in exhibitions and developing community based art projects. Rick has participated in exhibitions and programs nationally and internationally. From 1993 to the present, he has exhibited at the Phoenix Art Museum; Contemporary arts Museum, Houston; Museum of Contemporary Arts, Los Angeles; Neuberger Museum, Purchase, New York; Gwangju Biennale, Gwangju, Korea; Museum of Fine Arts, Houston; Glassell School, Houston, TX; the Kumamoto State Museum, Kumamoto, Japan; Zora Neale Hurston Museum, Eatonville, Florida; Venice Architecture Biennale; and the Anyang Public Art Program 2010. Cittadellarte, Biella, Italy, Nasher Sculpture Center, Dallas, TX, and Documenta 14, Kassel, Germany and Athens, Greece. In 1993, Rick founded Project Row Houses, an arts and cultural community located in a historically significant and culturally charged neighborhood in Houston, Texas. Rick has worked as guest artist on a number of community projects nationally. In 1996 he developed the Watts House Project, Los Angeles. From 2001-2002, he worked in collaboration with arts consultant Jessica Cusick on the Arts Plan for Rem Koolhaus designed Seattle Public Library. Rick worked with California based artists Suzanne Lacy and curator Mary Jane Jacobs on the Borough Project for Spoleto Festival 2003, in Charleston, SC and was lead artist on the Delray Beach Cultural Loop, Delray Beach, Florida. In 2005, he worked with the British architect, David Adjaye, on a project for the Seattle Art Museum in their new Olympic Sculpture Park. In 2006, he spearheaded Transforma Projects in New Orleans, a collaborative effort to engage artists and creativity in the rebuilding of the City after hurricane Katrina. 2008-09 Rick worked with Wendy Ewald and students at Amherst College to develop the Exchange/Value project. In 2010, Rick developed “Small Business/Big Change” for the Anyang Public Art Program, in Anyang, Korea. In 2013, He developed Trans.lation: Vickery Meadow as a project for the Nasher Sculpture Center. He has received many honors. In 1997, Rick and Project Row Houses were awarded a silver medal by the Rudy Bruner Awards in Urban Excellence. Rick was on the faculty of Skowhegan School of Art, Skowhegan, Maine in 1998. He was the year 2000 recipient of the American Institute of Architecture Keystone Award. In 2002, he was awarded by Theresa Heinz the Heinz Award in the arts and humanities. Rick was a Loeb Fellow at Harvard University from September 2001-June 2002. He received the 2005 Skowhegan School of Painting and Sculpture Governors Award. From 2005-2006, he was an Osher Fellow at the Exploratorium in San Francisco. In 2006, Rick received the Brandywine Lifetime Achievement Award. In 2007, he became an Innovator Fellow with the Japan Society. In 2009, Rick received the Skandalaris Award for Art and Architecture and a U.S. Artists Booth Fellowship. In 2010, he received the Creative Time Annenberg Prize for Art and Social Change. In 2011, Rick served as the visual arts “master artist” at the Atlantic Center for the Arts in New Syrmna Beach, Florida. 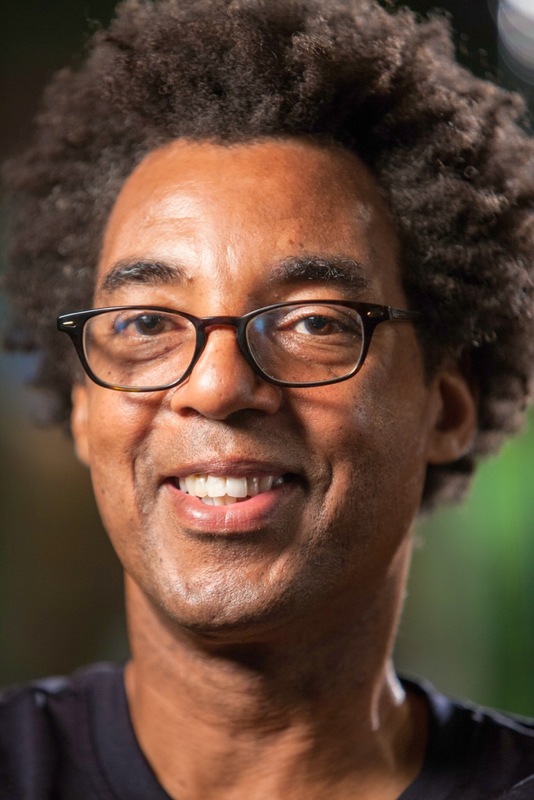 President Barack Obama appointed Rick to the National Council on the Arts in 2013 and in 2014 he was named a MacArthur Fellow. He is a 2014 Mel Kind Fellow at MIT. Rick was Auburn University Breedan Scholar in 2015 and received the University of Houston’s President’s Medallion Award and honorary doctorate degrees from the Maryland Institute College of Art and Otis College of Art. In 2016, Rick served as the Stanford University Haas Center Distinguish Visitor and also joined the University of Houston as an associate professor of art. Rick has served in the Houston community as a member of SHAPE Community Center, the Municipal Arts Commission, Houston, board member of the Greater Houston Visitors and Conventions. He is a board member of the Menil Foundation. He has served as a board member of the Andy Warhol Foundation for the Visual Arts, Governor of Skowhegan School of painting and Sculpture, and on boards of a host of other organizations.